Every state has at least one or two very odd laws. Some even have weird laws that affect driving. Hawaii is no exception to that. Hawaii has some driving laws that will seem fairly unnecessary, but these laws will have you scratching your head. In fact, not included on the list is a law that is no longer in effect where it was illegal in Hawaii to leave your home if you did not know where you were going. Hawaii even has non-driving laws that are strange too such as a law where it is illegal to put coins in your ears. Currently, it is against the law for any car that is in motion to have its hazard lights on in Hawaii. So, if you a driving with some sort of malfunction going on in your car, just get off the road as quickly and safely as possible. Turning your caution lights on will get you pulled over. However, there is current consideration to make it legal if you are doing so while slowing down and approaching a cross-walk where pedestrians are crossing in order to warn other drivers about the said pedestrians. The opposition to this proposed law is that it might have the opposite effect than intended for some motorists. This is because some drivers might immediately react to a driver slowing down with their hazard lights on by driving around them. Thus, this would put the pedestrians in more danger than they were originally. This would only ALLOW this, it would not mandate it. So, you would not have to do this if you didn’t want to. There are several other options being considered as well. 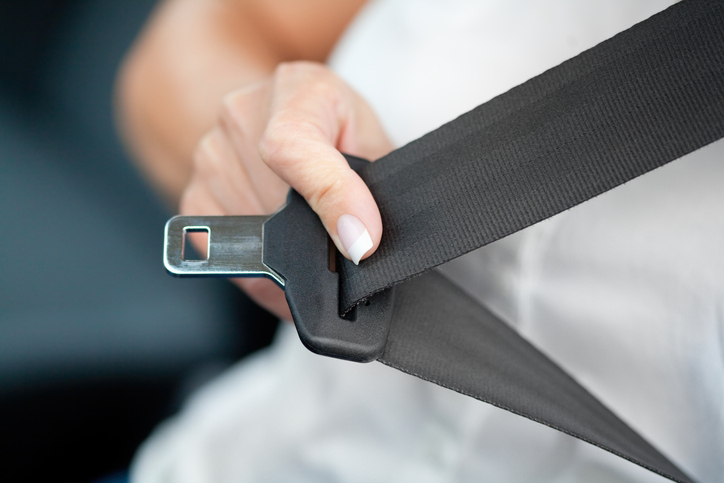 No matter where you sit in a car while driving in Hawaii, seat belts are required for all passengers in a car, both front and back seat. However, if you are in a truck and all of the seats are taken, you can sit in the bed of the truck with no safety restraints whatsoever. So, you can sit in the most dangerous part of the car with zero safety restraints, as long as the other seats are taken. Go figure. Billboards are illegal in Hawaii. They are considered to be too distracting for drivers and would be in the way of all of Hawaii’s incredible beauty. So, you won’t have to worry about obnoxious advertisements distracting you from safe driving and seeing all of the wonderful Hawaiian sights. These laws are very strange, but they are laws, so be sure that you obey them just like any other law in Hawaii. If you are re-locating to Hawaii and want to ship your vehicle there, call the experts at Hawaii car transport at 808-445-6695.